Sali Oyugi was a singer/songwriter and social activist with a dual heritage from Kenya and Tanzania. She grew up in Nairobi, Kenya where her father is from and spent many days in her mother’s homeland of Tanzania. As a young girl, Sali cherished her dual cultural heritage and took the time to study the traditional rhythms, songs and dances from both the Luo people of Kenya and the Zigua people of Tanzania. The result has been the beautiful rhythms and sounds Sali brings forth in her guitar playing and vocals during her performances. Sali started performing while still residing in Kenya where she mainly worked under the sponsorship of the French Cultural Center, which regularly hosted multi-cultural festivals that brought Artists from various parts of the world together. 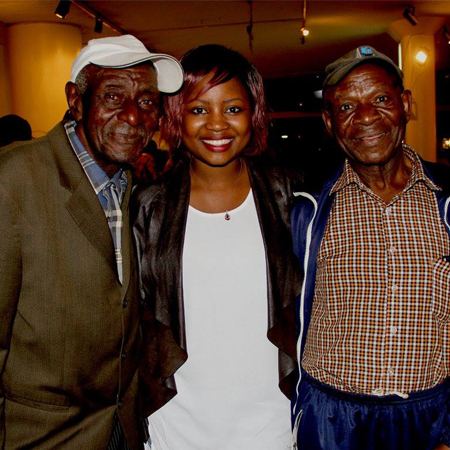 Sali played extensively at the local clubs and art-centres including Goethe Institute- Nairobi, Safari Park Hotel where she shared stages with renowned South African musician Hugh Masekela. This then led to a U.K. trip in 1997, where she performed at a Solar Energy Convention. For several years Sali was based in Boston, Massachusetts (USA), where she performed with many local, well-respected musicians and ensembles, including Wesley Wirth (bass), who has performed with the likes of King Sunny Ade and teaches at the New England Conservatory of Music, Mikhael Mirsha (bass)-vast experience in funk and world-beat bands. Sali Oyugi has indeed made her presence felt in the New England area where she has played at the Somerville Theatre, curtain raising for acclaimed world music performer/composer, Oliver “Tuku” Mutukudzi. She headlined the world music stage during the national arts convention First Night – Boston which attracts close to 1 million people on New Years Eve, The Cambridge River Festival, The Central Square World’s Fair Festival, and the Wake up the Earth Festival. She headlined at the Africa in April Festival in Memphis, Tennessee. Sali has worked with master kora player and griot Balla Tounkara from Mali, who is featured in her album “Vuma!”. 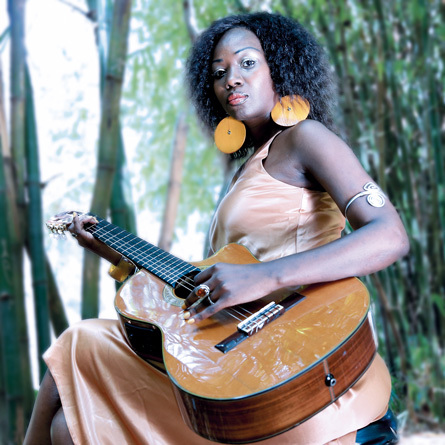 She makes a vocal appearance in Tounkara’s much-acclaimed album titled Yayoroba. Her most recent album “The Return: Journey back to the Source” was successfully released on December 7th, 2007. Sali Oyugi recently relocated to Nairobi Kenya where she is currently based. She is plugging herself back into the local music scene and has performed at The GoDown Gig, a monthly event at the GoDown Arts Center, Thursday Nite Live @ Choices, Phoenix Theatres and PAWA Festival amongst other venues. She is currently working on her new album “Uromo” at Ketebul Music Studios and is set to be released early 2016. She died on 26 August 2018. 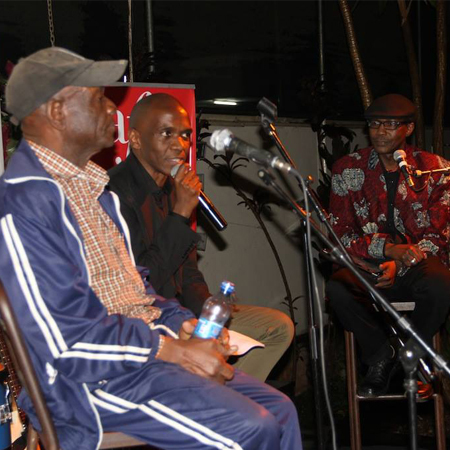 The 16th Sauti za Busara, one of Africa’s top music festivals, is scheduled to take place in Stone Town, Zanzibar during 7 – 10 February 2019. 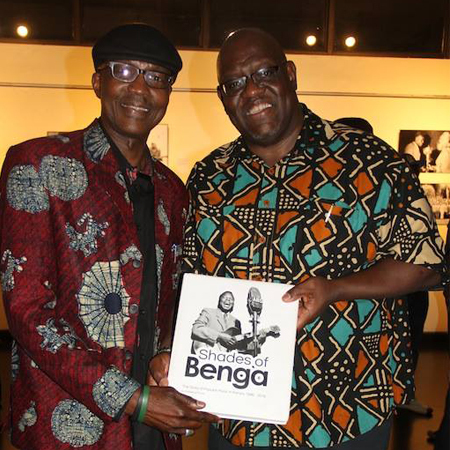 We recently released our long awaited publication, Shades of Benga: The Story of Popular Music in Kenya 1946 -2016. 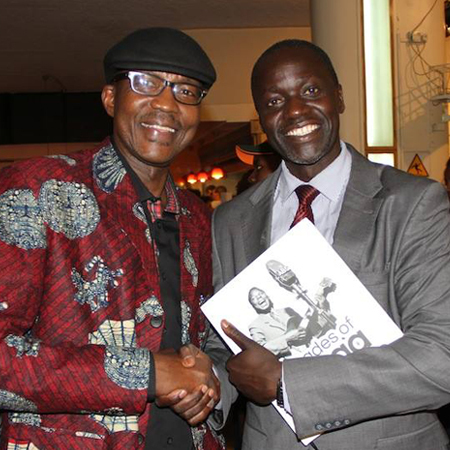 The 652 page book was launched at an event preceded by a photo exhibition, of pictures extracted from the book, at the Alliance Française de Nairobi on 12 July 2017. 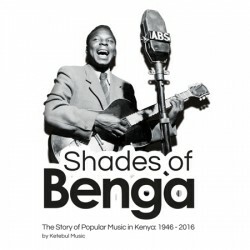 This was followed by a presentation by the books principal authors, Ketebul Music Founding Director Tabu Osusa and Bill Odidi. They discussed the concept behind the book and gave an overview on topics covered in the 14 chapter publication. 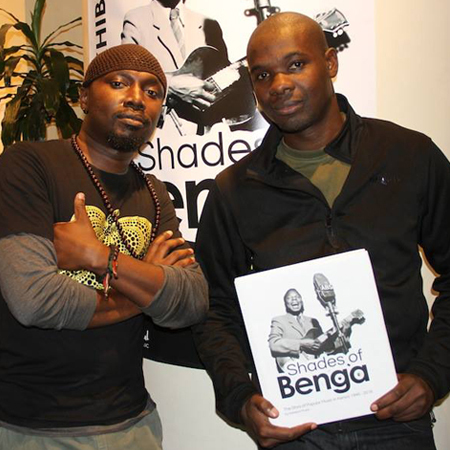 The launch culminated with performances by some of the pioneering musicians whose profiles can be found in the book: John Nzenze & Peter Akwabi, and Ochestre Les Mangelepa. 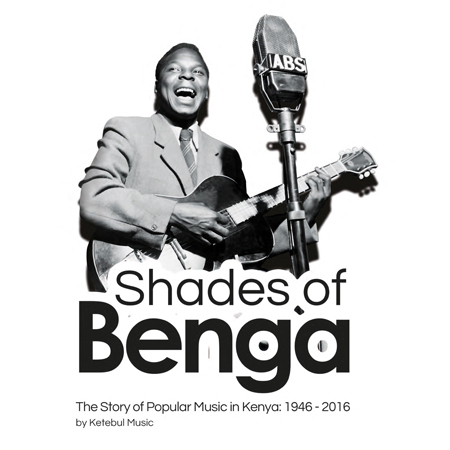 Shades of Benga: The Story of Popular Music in Kenya delves into the foundations of modern Kenyan music, examining external influences from the English waltz to Afro Cuban Rumba and how they helped mould new music styles across Africa. 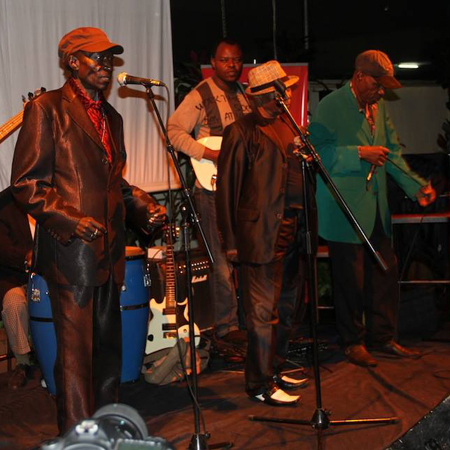 Rumba was brought to Eastern Africa via the itinerant Congolese musicians Edouard Masengo and Jean Bosco Mwenda who’s intricate guitar-picking styles largely shaped the present Kenyan sound, with the Benga playing a dominant role. Currently, you can get advance copies from Ketebul Music Studios or place your order.